The proliferation of companies providing pet insurances has come about by rising vets' bills. Advances in veterinary medicine has led to more and more animals being investigated and treated than ever before. Even minor accidents or ailments are expensive to treat. Pets, particularly dogs and cats, are very much part of the family and fear of being unable to afford treatment leads many owners to take out pet insurance. There is a wide choice of cover and the differences in premiums are considerable. Our aim at Money Discount Centre is to help you through the maze of offers and find you the policy that best suits your needs. As with all things in life you get what you pay for. The cheaper policies may not cover an animal for the whole of its life, or have a time limit on treatment of a particular ailment, or not cover the same condition in another part of the animal. For example, if the cruciate ligament needs repair on one knee and the second knee has the same problem, the second knee will not be covered. There can also be limits on the amount paid in any one year. Awareness of terms and conditions, as well as exclusions, is of vital importance if you are going to compare like with like. Using our data base is a quick and efficient way to help you find the most appropriate policy. Many policies offer a death benefit if the animal dies prematurely. Cover can also be given for cancellation of holidays if your pet becomes ill. If the policy holder is admitted to hospital, boarding fees for the pet may also covered. 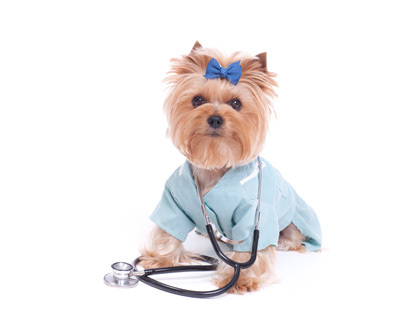 An important aspect of pet insurance, particularly for dog owners, is third party cover. This protects owners from a claim for injury or damage. As with all insurances there is an excess on the policy which is usually £50 to £75. Premiums can be lowered if you opt for a voluntary higher excess. If the claim is high, as well as the excess, you may have to pay an additional percentage of the cost. As an animal ages, it may be that this percentage is added to all claims. The pet insurance business is a veritable minefield made difficult by the many variations in terms and conditions, by exclusions and excesses. Money Discount Centre can guide you to the most economic policy that best suits the needs of you and your pet.